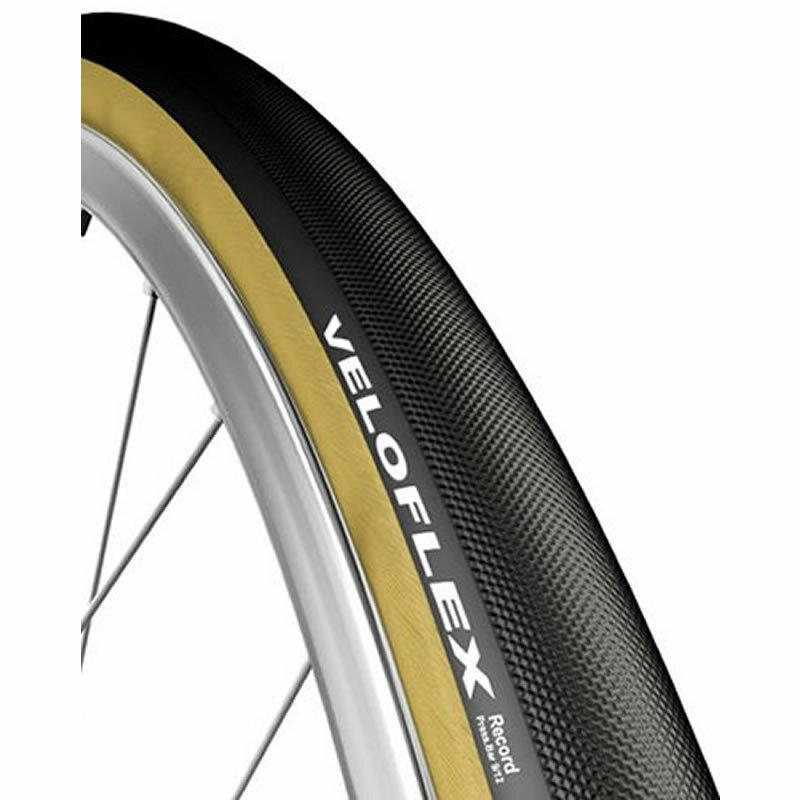 That's the keyword to describe Veloflex's Record series of tubular tires. A tubular created to beat all the records thanks to its feather-light weight, outstanding grip and cornering stability. The full diamond tread pattern will push you to the extreme while cornering without ever losing traction and control. The 350 thread per inch corespun casing allows the lowest possible weight without compromising strength, and comfort. Perfect for time trial, record, hill climbs and track competitions. Excellent grip on the indoor wood velodrome, used them to train and race on and found them very reliable .